My friend Thomas Lea has been showing me a few tips on how to make my pictures better. I’ve learned that the human eye combined with the human brain is a pretty incredible camera. No camera is as good as the human eye, because cameras don’t have as much latitude as the eye. That means that the eye can see detail in shadows and bright areas, whereas a camera tends to make dark areas too featureless, and the bright areas too washed out. 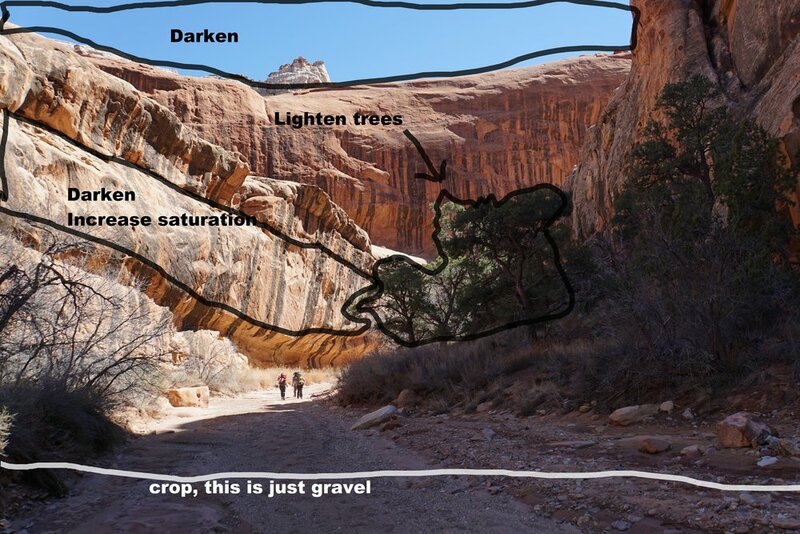 Here is a picture as it came out of the camera, from our recent Capital Reef backpack. Its a good camera, a Sony a6000, with an APS-C sensor, takes 20 megapixel pictures, and has more features than I’ll ever figure out. Thomas took that photo and adjusted certain areas to make them more like what the eye saw. 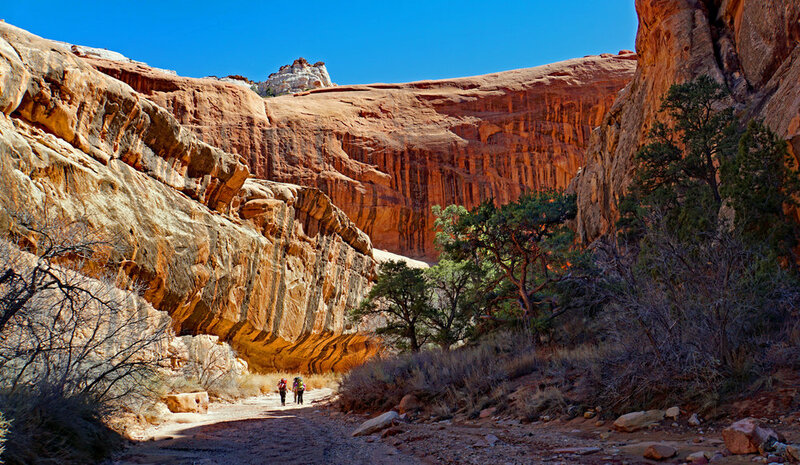 First, using Photoshop elements, the whole picture was increased in color saturation. Next the areas shown below got special attention. The end result is shown below, and its more like what the eye saw in that scene.